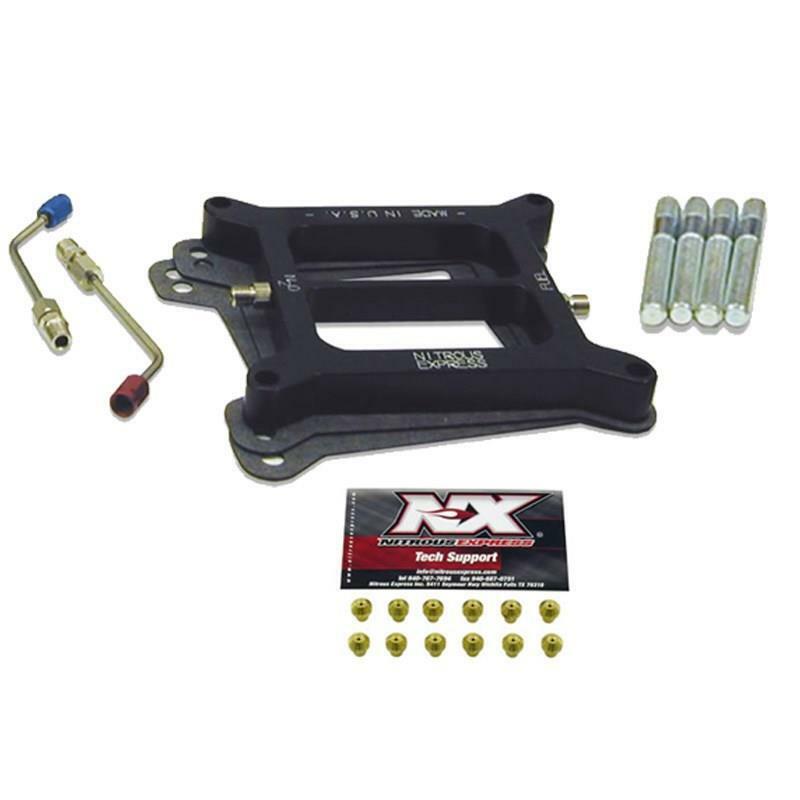 Nitrous Express offers a complete line of conversion kits for all NX Nitrous Systems. Whether you’re upgrading from a plate type system to a nozzle system, or converting from another brand to one of the “Next Generation” nitrous systems, Nitrous Express has exactly what you’ll need to make the conversion complete. All the conversions begin after the solenoids and include all the necessary hardware. Nitrous Express is the only nitrous company to date that has the confidence in our product to improve your performance and reliability…guaranteed! Includes plate, connectors and hp settings.